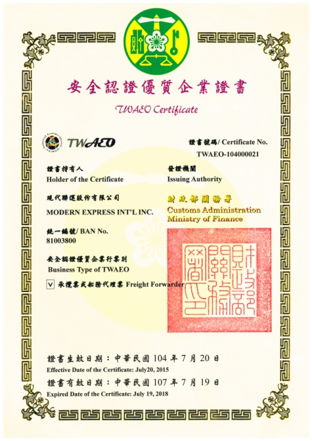 Modern Express has accomplished ISO 9001 in 2008, and Taiwan AEO in 2015. 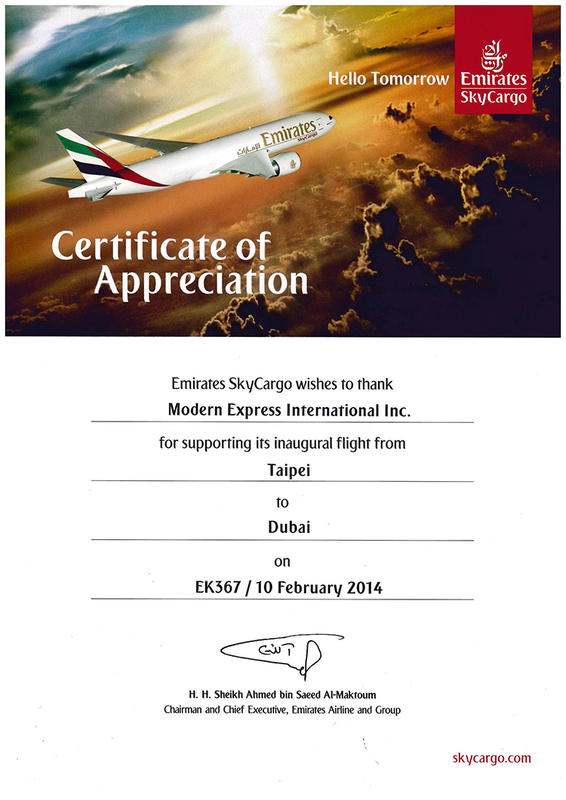 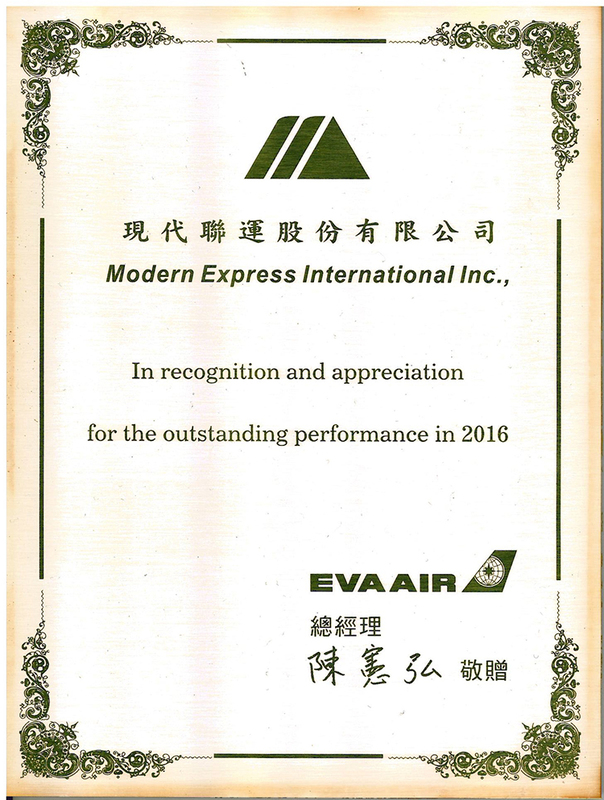 Plus, we also have received the Outstanding Performance issued by Eva Air (BR 695) for years. 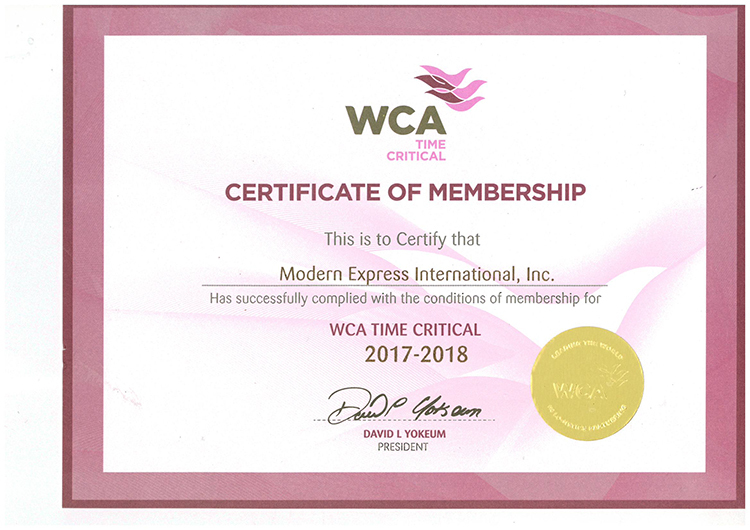 Besides, as the founded member of WCA, we were presented the prize of Ten Years of Membership. 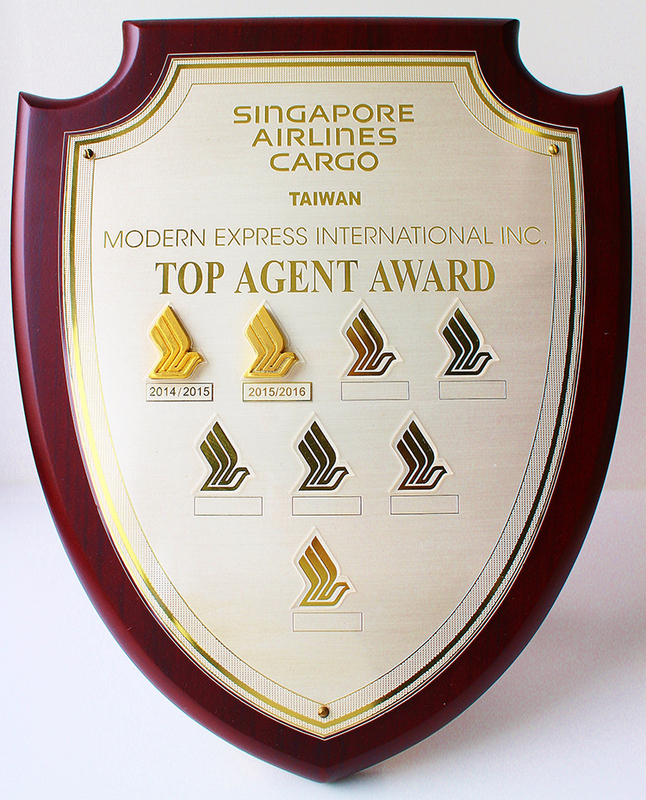 In the elite competitive contest with other top forwarder, Modern Express triumphed through the highest standards in delivery quality in this industry. 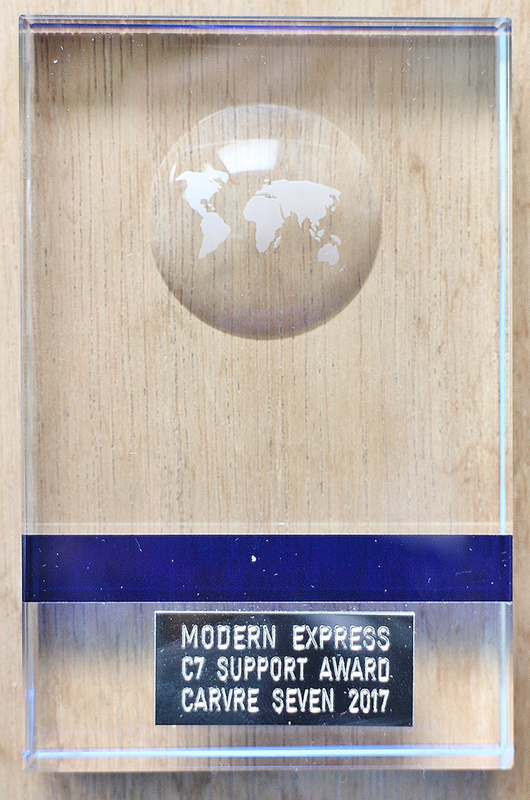 President chen of Modern Express, was clearly delighted with their victory, “all the awards, achievements, and good reputation are an acknowledgement for every single Modern Express employee. 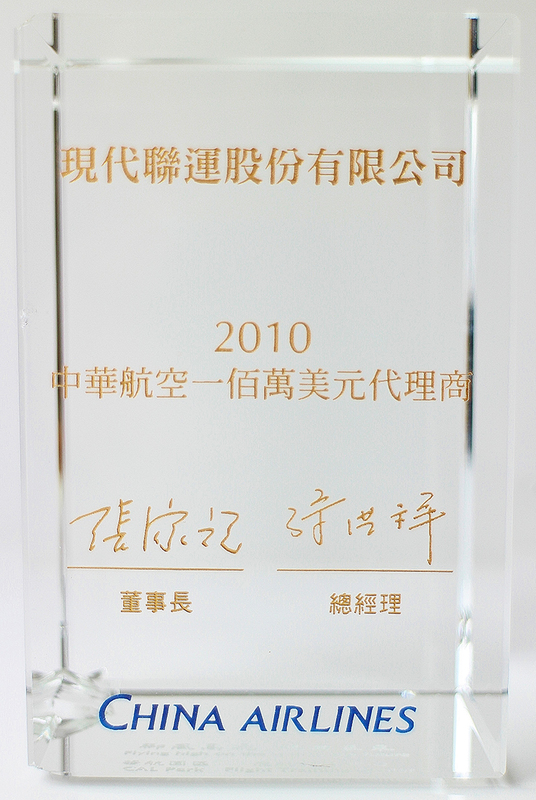 Together with our partner, we commit ourselves every day to the highest standards of quality.” All these awards and achievements show us that we care on the right track, and motivate us to continue to work hard on our development and to pursue our goals consistently.